DEAN – a South Korean future R&B artist and Multi-Platinum songwriter. 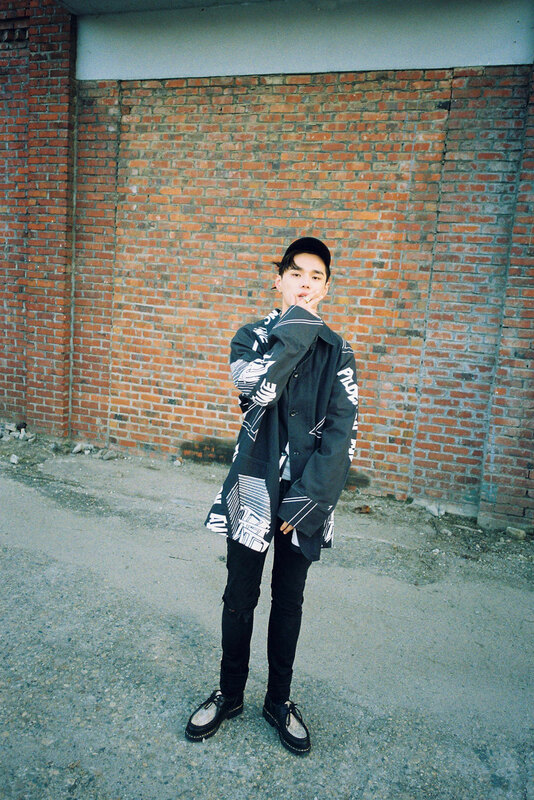 DEAN began his musical journey as a hip-hop artist at age 16, beginning his career as part of a crew with Korean rapper Keith Ape (whose single ‘It G Ma’ boasts over 18 million YouTube views), but by the age of 18, DEAN discovered his talent for singing and his gift of creating infectious melodies. Now having written chart toppers for K-Pop boy bands such as VIXX and EXO, DEAN has already proven himself as a successful hit maker. Recently DEAN wrote ‘Unfair’ for EXO and ‘World Tour’ for Lee-hi in 2016. <130 mood : TRBL> is DEAN’s very first EP including three previously-released tracks, “I Love It (Feat. Dok2)”, “Pour Up (Feat. ZICO)”, and “What 2 Do (Feat. Jeff Bernat, Crush) with four new tracks: ‘And You? (Skit) (Outro)’, ‘Bonnie & Clyde’, ‘D (Half Moon) (Feat. Gaeko)’, and ’21’. The meaning of title is –’130′ is kind of symbol of James Dean as he put the number 130 on his car. It is revealed that DEAN has been inspired by James Dean. ‘TRBL’ stands for ‘trouble’ and it’s from DEAN’s nickname ‘DEAN TRBL’. The whole album is in reverse order of one man’s love story, from falling in love with a 21-year-old girl to suffering heartbreak, which seems to be a part of our life. : It will win the sympathy of the listeners through his storytelling. DEAN appeared on SXSW 2016 – Spotify house and Hypetrak stages and it’s very first time for Asian artist. Also he will be showcasing his talent at many of the industry’s major upcoming events and festivals.